Every year, brands release thousands of products hoping to be the next best thing. A lot of the time, you can feel underwhelmed as it seems like the same old thing, just in new packaging. But over the year I've either seen press releases or saw products instore that knocked my socks off. Here are (in my humble opinion) the best releases of the year! I picked up this when it was a GWP with Marie Claire and I've been loving it ever since! While I hadn't heard about it before using it, it has quickly become my holy grail mascara. It doesn't smudge, it gives me full and thick lashes and is affordable (RRP is $23.95, but you can find it onsale often at Priceline/Big W/Myer/Target). It's even more effective than mascaras double it's price!!! I need to pick up a new one as it's been 3 months since using it now. I have noticed that it's started to thicken up and is becoming slightly difficult applying, without clumping. I had seen some great reviews on this, so I ended up buying this in a bundle kit along with a serum and a face brush. After my very first use, I fell in love with this. It has a really bizarre texture. The liquid is in a sponge, that sits in a compact (I hope that makes sense! ), so it does make it hard to see how much is left. It comes with a puff applicator which works fantastic! I've also used this with my Real Techniques sponge and it worked just as well. It's so easy to apply... and quick too! It's easy to build up full coverage, so just lightly tap your puff/sponge into the cushion to get the foundation. I like to use this on my work days as it helps hides my imperfections, stays all day and doesn't fade in the 30/40 degree heat we've been getting here in Adelaide. The packaging is great. It's a wonderful compact to take on holiday if you get worried about packing liquids. The compact is sturdy and also has a mirror. You can also purchase refills, which I love. This makes it less expensive and also better for the environment. I ended up picking this up when it was onsale in a 3 piece kit for $59.95. The foundation alone is $79.50, so it was fantastic value. As much as I love this foundation, I wouldn't pay $80 for it. Luckily Mirenesse always have great sales, and I'll be picking up a refill soon. A lot of reviews I saw also said that they loved the product, but would only purchase it on sale. Check out the video here which explains all about the foundation! One of the downsides to living in Australia is the fact that we get beauty releases months after the US and UK. This can mean that by the time we get our hands on a product, there's so much hype that it makes the product hard to live up to. Luckily, the L'Oreal Color Riche L'Ombre eyeshadows don't dissapoint. The only downside to this is the price. It's $20 per eyeshadow here in Australia, but the quality is really fantastic. While I wouldn't pay full price for them, L'Oreal is on sale a lot. I currently have 3 colours and want to pick up a few more next time Priceline has 40% off cosmetics. This is another hyped up beauty product that lived up to... and even exceeded... expectation. It's a wonderful formula that both gives colour to your eyebrows and makes them look thicker. The wand is small, so it's perfect if you have sparse eyebrows. It's on the pricier side ($32 here in Australia) but is worth it. I've had mine for over 6 months and still have some left (I use it 2-3 times a week). The only downside is the fact that there are 2 colours available. But from seeing reviews from other bloggers, it seems to cover a lot of skintones. When I haven't been using the Benefit Gimme Brow, I've been using this. It's the closest I've found to an affordable dupe for the Benefit one. It doesn't make them look as thick as the Benefit one, but still gives colour and fullness in its own way. It's a gel that sets quite quickly. The brush is small and is really easy to use. At only $15.00, this is a must have for me. I've already bought a back up!! Models Prefer have had some great releases this year and this is one of the best. There aren't many "drugstore" setting sprays available here in Oz, so this one is much needed. For $14.99, you get 120ml which will last you a very long time. The applicator is fantastic. It gives you a light mist, rather than a stream. I had seen the Luma products in Priceline for a while, but only just picked up some in November when they were 40% off. And after trying it, I would even buy it again at full price. It's one of the most pigmented blushes that I've ever tried (and especially from the "drugstore"). I just need to lightly dip my blush brush in and it will be enough colour to apply to both cheeks!! I love that it's not too pink and not too orange. It's a lovely in between colour that will suit a lot of skin colours. They also have another blush colour and 2 bronzers that I need to get my hands on! You can see my haul here to see what it looks like. For the majority of this year, I've fallen in love with cleansing balms, but after receiving this, I've fallen back in love with oils. The benefit of using an oil is that I can still use it without having to use a face cloth. Just adding water onto my face will get rid of the oil. But with a balm, you NEED to use a face washer. Also a lot of balms leave residue on your face washer and it means that you need to do a LOT of washing every week to make sure that you have a clean face washer. Even though it's an oil, it's lightweight and doesn't leave a film on my skin. I love the fact that this oil doesn't contain mineral oil. Instead it contains beautiful ingredients that leave my skin feeling clean but not dry or tight. The packaging is great as it's in a plastic container with a pump, so it's perfect for slippery hands. It's pricier than other cleansing oils than I've used ($50 for 200ml) but it's worth the price tag! While the Nivea In-Shower Body Lotions have been around for a while, this version is their newest one. I prefer this version for 2 reasons. It feels lighter on the skin and doesn't leave a slimy residue as well as the fact that this smells a thousand times better than the original scents. They are a bit more pricier than the original ones, but I loves these more. This is the third or fourth bottle that I've used since it was released. This was a new release that really impressed me. It's a gel formula, so it's lightweight and sinks into the skin quickly and easily. It has a pleasant smell and is fantastic for layering. I like to apply this to very dry areas and then apply a heavier cream on top. I loved this so much that I've already bought 3 bottles since it launched. Since this launched here, I've already bought 2 of these. It's a lightweight gel formula, that has been perfect for the summer weather. It has wonderful packaging that's playful and practical (it has a pump). I've found since using this my skin is looking more even and radiant and I can feel more confident wearing lighter coverage now than I did earlier in the year. Both times I've bought this, it has been on sale for $15-$19 (normally it would be $29.99 for 30ml). This is another serum that I was really impressed with. I used this before I bought the L'Oreal serum. They're both very similar, in that they're a lightweight gel that helps to give you more even skintone. I did find that the Olay serum gave me quicker, better results. This retails for $67.99. While I love this, I wouldn't purchase it unless it was on sale. Although, I did nearly cry when I finished this!! It feels very luxe. I've been a fan of John Frieda products for many many years and earlier in 2014 they released some wonderful products. The stand out for me had to be this! It's a lightweight oil and never feels heavy or oily in my hair, even when I've used it for a few days. I use this as both a styling product and a pre-wash treatment to add moisture into my hair. They also released another oil (the Full Repair Repairing Oil Elixir) that is wonderful too. I've reviewed both of the oils here. This year I've really loved Kevin Murphy products. They smell amazing, work amazing and leave my hair feeling incredible. One of the stand out releases was the Young.Again Immortelle Infused Treatment Oil. I like to use this for when I'm working or when I'm putting more effort into my hair (otherwise I'll use the less expensive John Frieda oil for days that I'm just at home). It smells amazing and always leaves my hair looking like I've just come out of a salon. It gives it a beautiful glow, without weighing it down or making it look oily. The packaging is great too! I'm now wanting to try out the shampoo, conditioner and mask from the range as I know that it will leave my hair feeling soft and smooth. I have some of the original Rae Morris brushes, but her new brushes that were released earlier in the year are even more incredible. I've bought 14 of her new brushes this year, along with the magnetic plate. I've found myself reaching for the Creme Shadow Shader the most and want to buy another one (or two!) of them as the shape is perfect for blending out cream shadows. They've changed where the magnet sits and I've found having it in the bottom of the handle has made it so much more effective than the last version, which was in the ferrule. Because they sit in the base, I actually like to hang them from my rangehood (over the oven) to dry! This means I don't have to worry about any water getting into the ferrule. I still have a few more brushes that I want to buy to complete my set, along with another Rae Plate and the new Rae Frame. And there are the best new beauty releases over the last year! Has there been any new releases that knocked your socks off? Great picks! Good to hear that the MP brow gel measures up to the Benefit Gimme Brow. I'm quite liking the Benefit one, but I'm not sure that I would repurchase. I'll have to give the MP one a go! Same with the Luma blush. I haven't managed to check out the brand yet! 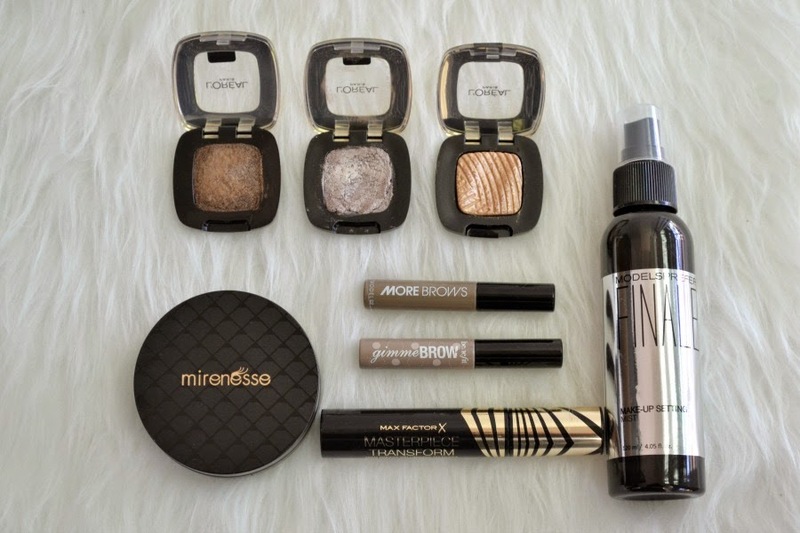 the ModelCo brow gel is amazing... especially for the price! Try out the Luma blush. It's absolutely beautiful. Thanks for this post! 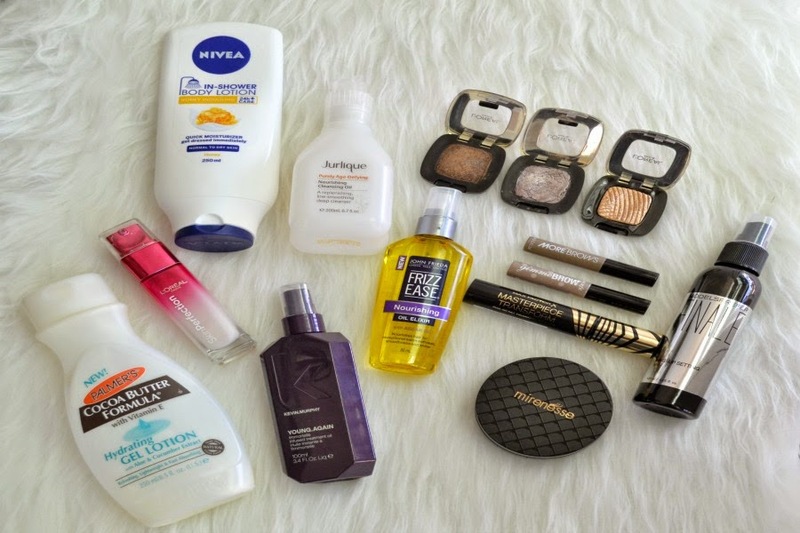 I haven't come across some of these products last year so I'm keen to check them out. Particularly the makeup setting mist and MF mascara. Hope you have a lovely day! The Max Factor mascara is really a hidden gem. It's one of the only mascaras that doesn't leave me with smudges. Handy tips! 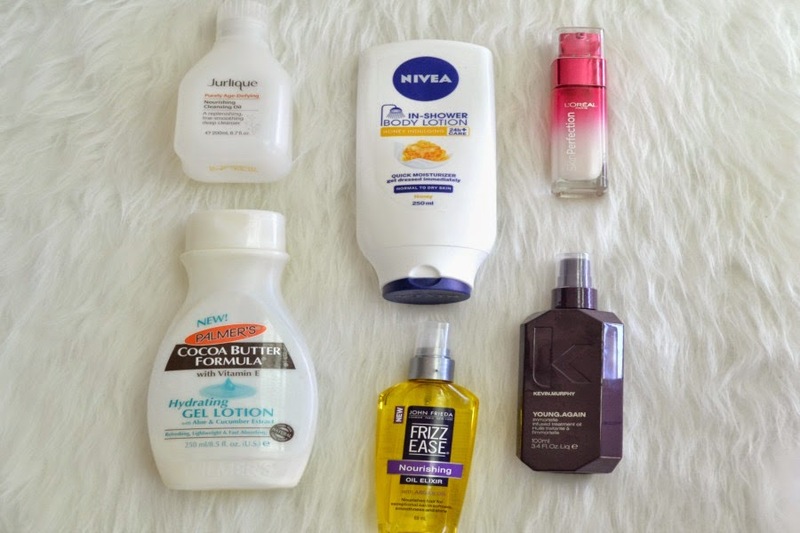 I'm always interested to hear about Models Prefer and the other Priceline cheapy brands because who doesn't love a quality dupe at a fraction of the price! Chemist Warehouse has 50% off L'Oreal and others at the moment so I might well check out one of those eyeshadows . . .
Models Prefer is a really solid brand. Their brushes from the Professional Line is amazing quality. Check them out next time you're in Priceline. The Rae Morris Brushes have been on my wishlist ever since they were released! Kerri, they're great brushes! I highly recommend getting the creme shadow brush, as it's wonderful.